The holidays are a great time to celebrate with friends and family. Traditions can range from great meals and deserts to all day gatherings with family, friends, and coworkers. The one common theme that is always a staple during the holidays is…. Alcohol! From the spiked Eggnog at Christmas to the bottles of champagne at New years, alcohol seems to always play a part in most traditions. If you buckle under peer pressure like I do, sometimes these celebratory drinks can turn into bottles of wines and cases of beer. Now comes the point of this blog. What should you do for that morning headache, nausea, dizziness, fatigue, and groggy feeling, known as a Hangover? Here are some suggestions to help alleviate problems. As it turns out there is no miracle cure and little research has been done in this field. Alcohol is a diuretic and will dehydrate you at night and into the morning. At night, you probably find yourself using the bathroom more often when consuming alcohol which leads to this dehydration. If you are really smart, have some water in between drinks throughout the night to stay hydrated. According to studies, drinking about 250 millilitres (8 ounces) of an alcoholic beverage causes the body to expel 800 to 1,000 millilitres (26-33 ounces)of water; that’s four times as much liquid lost as gained. The dehydration from alcohol causes a low electrolyte balance in your body which needs to be replenished. The extra vitamins and minerals in these drinks helps your body absorb the fluid more quickly and replenish the balance of sodium, potassium, and sugars. A good supplement for water. Sleeping gives your body more time to recover and allots your liver more time to fully metabolize the alcohol. If you have an early wake up, try to take a mid day nap to help restore energy levels. One drink—a 12-ounce beer, 5 ounces of wine, or 1.5 ounces of hard liquor—is metabolized by your body in about an hour, so the whole “sweat it out” theory is considered a myth in most circles. At the same time, because alcohol acts as a depressant to your body, the endorphin release by exercising could boost your mood and burning off a few calories may ease your guilt about how much you drank. In hockey circles, there are legendary stories about the ageless wonder, Chris Chelios, and his 45 minute bike rides in the sauna which he referred to as an “aerobic wash”. Studies have shown that another drink in the morning may help improve headaches but ultimately this is just putting of the inevitable(eventually a hangover will set in) and is not suggested as this can lead to alcohol abuse. 6. Eat Complex Carbs (peanut butter and banana sandwich) or Eggs! While your liver is preoccupied metabolizing alcohol, it fails to regulate blood sugar levels, so they stay low. Carbohydrates can raise your blood sugar level and help them return to natural levels. The work done by your liver to metabolize alcohol uses vitamins like vitamin B and potassium that become limited after drinking alcohol. Eating some whole grains and things like bananas can help restore vitamin levels. Coffee can help alleviate a pounding head because caffeine is a vasoconstrictor, meaning it reduces the size of blood vessels. This counteracts the effect of the alcohol, which makes them swell, making the head hurt in the first place. On the down side, caffeine can increase dehydration and irritate your stomach further causing hangover symptoms to worsen. 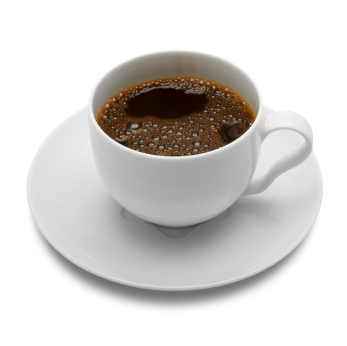 Be sure to drink plenty of extra water if you drink coffee. Besides glucose, alcohol reduces the amount of circulating free fatty acids in the bloodstream, A breakfast high in carbohydrate and fat content can help to elevate blood glucose and free fatty acid levels in the short term. Do the long term effects outweigh the short term benefits? Decide that for yourself. A no-brainer. Don’t drink on an empty stomach. The longer alcohol stays in the stomach, the better your body breaks it down. Food such as complex carbs and other starchy foods before hand can help aid in the digestive process. Drink a glass of milk to start the evening. It will retard the absorption of alcohol, and protect your stomach against irritations. The recommended serving of fruits and vegetables in today’s socitey is anywhere between 7 and 12 servings per day. How do you stack up? The US, along with other parts of the world, have seen rising rates of harmful epidemics such as heart disease, diabetes, obesity, and cancer. Some experts attribute this to an increase in fat consumption and processed foods loaded with artificial preservatives and SUGAR. Other researches attribute this to a lack of meeting our nutritional needs of things such as fruits and vegetables. One fad that has become increasingly popular to meet the recommended requirements is… JUICING. Juicing allows your body to become detoxified while enabling it to access and utilize restorative and sustaining nutrients which some experts believe can increase your mood and lifestyle. Juicing provides vital nutrients, antioxidants, vitamins, and minerals for our bodies. Food digests faster in liquid form and can aid your digestive system as a whole. Strengthens the immune system for cell regeneration and growth. Unlocking nutrients of raw foods is one of the vital benefits of juicing. Some claim that juicing can help release fiber’s nutrition to make it more available as a source for the body. Peelings from fruits and veggies are a rich source of vital nutrients that people normally throw away. A good quality juicer extracts juice from the whole veggie or fruit including peelings, pits, and seeds to provide vitamin and minerals that would otherwise be lost. The antioxidant effects of juices will help detoxify your body and help you eliminate the toxins, fats, preservatives, and chemicals that processed foods leave behind in your body. Some claim that increased energy and mood uplift are collateral benefits of juicing. Making your own juices allows you to make any combination of fruits or vegetables that you desire. Here is an example and quote from a current NHL’er who is an avid juicer. Skeptics claim that the detox and cleansing benefits attributed to juicing may be more psychological than physical. It is best to spread out your intake of fruits and vegetables throughout the day versus having them in one sitting. Many people rely on these juice concoctions as there only source of fruits and vegetables. Commercial juices are pasteurized, homogenized, and blend with various preservatives and additives to give it shelf life. Stick to the all natural stuff. The missing ingredient in juice, FIBER, is a greater concern. Fiber is essential for moving food through the digestive system. Fiber not only plays an important role in digestive health but it also helps us feel fuller for longer period of time. The lack of this feeling may cause you to over eat in other food groups resulting in unnecessary weight gain. The Mayo Clinic argues that there’s little scientific evidence to support the belief that juice makes vitamins in fruit and vegetables easier for the body to absorb. They say, eating whole fruit and vegetables is the healthier way to get your daily intake. While fruits and veggies are a great source of natural sugar having large amounts in one sitting can be overkill. Eating fruit and vegetables in their natural state. You can never go wrong here. Take a capsule or vitamin like Juice Plus+. Juice Plus+ provides whole food nutrition from 17 different fruits, vegetables, and grains in convenient and inexpensive capsule form. Juice plus+ claims to use a bunch of the healthiest fruits and vegetables, juiced and dried at low temperatures, removing the water and most of the sugar, salt and bulk. Any method of reaching the recommended of 7 to 12 total servings of fruits and vegetables a day is the “best way”. Obviously eating fruits and veggies in there most natural form, spread throughout the day, is ideal. For some, this is not realistic. Juicing or taking liquid or solid supplements is a great alternative. Find out which method is most convenient and beneficial for you and your schedule and go from there. Thanks for reading. Should you ditch your 45 minute jog? 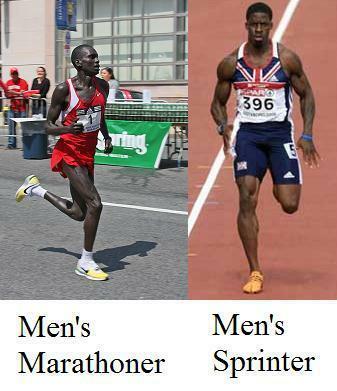 Ever wonder why a sprinter has less body fat and more muscle than a marathoner? The higher intensity the workout=the more fat calories burned and more muscle is developed. Over the last several years countless studies have emerged on the benefits of interval training. One recent article in “The Journal of Applied Physiology” claimed that 6 minutes of high intensity interval training was as productive as 6 hours of moderate and steady endurance. Now, this might seem like a stretch, but you get the idea. Studies have shown that interval training will give you a superior conditioning workout, burn more fat, and create more muscle growth. Jogging or exercising at a constant pace works your slow twitch muscle fibers whereas interval training and high intensity intervals train fast twitch fibers. The “Afterburn” effect: More calories burned post-exercise than steady state/low intensity exercise. This happens because your resting metabolic rate(RMR) is increased which means even when you are sleeping you are burning more calories! Studies show interval training was associated with a 15% increase in total antioxidant status. 6. Majority of fat loss from sprint intervals comes from the trunk area! Interval training, especially at a high intensity, is more mentally and physically taxing. There is no doubt you will be more tired after an interval workout as opposed to doing something at a lower level or constant rate. One of the other great things about intervals is the variety of modes and techniques to utilize in an interval workout. Find your maximum heart rate (Your theoretical maximum heart rate is defined at 220-your age.) and vary your sprints accordingly. An example would be for the first few reps try to enter the 70% zone of your maximum heart rate and then for the next few reps try to get in the 80% zone of your maximum heart rate. So to answer the question. A 45 minute jog is a good way to exercise and burn calories. However, there are more beneficial ways to spend your 45 minutes if you are looking to burn more calories, more belly fat, or increase performance. All out sprints and high intensity intervals vs. traditional cardio is based on a person’s motivation and goals. For serious athletes, I would strongly suggest using intervals as the main component of your conditioning. While it is great to incorporate different forms of exercise, interval training has proved the most beneficial for performance. 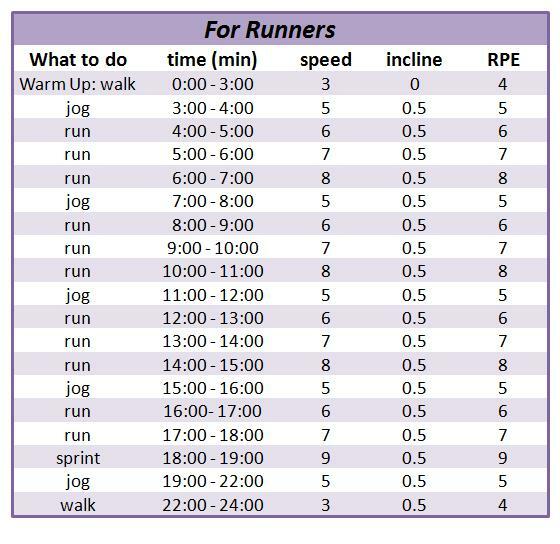 For the Average Joe or people looking to burn fat and exercise, you don’t necessarily need to be doing intervals at full intensity, but I suggest you try incorporating intervals in your weekly routine. Having a good mix of steady cardio and intervals will keep the body guessing and interrupt the monotony of a steady cardio workout. Here is an example of a workout to get you started. I want to begin by thanking the 3 Athletes that sent me information and pictures of what a day of eating consists of for them. I wanted to give people some insight on what other athletes thought about nutrition and how they applied it to their daily needs and meals. I got the idea for this post when Athlete #3 sent me an example of his daily log where he tracks his goals, workouts, nutrition, and daily notes. These 3 guys are some of the most fit and well-trained athletes I have had the pleasure of playing and training with and it is no wonder why they are all still having very successful careers. I did however keep their names anonymous for this blog. Please see the examples below. All the descriptions and meals are in each athlete’s own words. After the examples I will point out some interesting things that differentiate each meal plan. I will also answer a great question i got on last week’s blog on hydration for specific sports and how it is different. 9:00 a. m: Usually my largest meal. 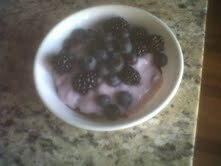 Today it’s granola (be careful what you’re buying in terms of sugar content), yogurt, and fruit). 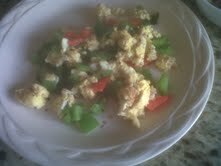 I also made a two egg omelet with olive oil, a little garlic salt, spinach, tomatoes, green and red peppers. Canola Oil and Olive Oil is much less fattening than vegetable oil or butter. I also stay away from the cheese. Noon: Post Practice and workout I usually grab one more protein shake and a piece of fruit at the rink. At this point I’m usually slamming Gatorade and water. The faster you get it in your system post practice, the faster any substance can begin to aid in recovery. 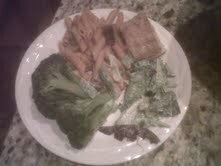 6 pm: Pasta Stir-Fry (vegetables mixed in), Steamed Broccoli, and a Mixed-Greens Salad. I try to consume my fruit more towards the front end of the day because of the natural sugar that helps keep you awake and energized. Finishing portion of left over dinner. -All 3 athletes have such a great balance of protein, carbohydrates, vitamins, and minerals. -Eggs, yogurt, multivitamins, fish oils, veggies, fruits, and pasta, were 3 foods that were all consistent. What does that mean for you? Add them to your day. -Athlete 3 was very specific and keeps a daily log starting out with a power thought of the day,goals for the day, and meditation. He also closes with daily notes on how he did on his previously established goals. This is a great example of how focused and specific some athletes are in their habits. I’m not saying everyone has to be this specific but for some, this works great. -Thought it was very interesting how immediately after waking up a shake is consumed right away(even before breakfast) to get the metabolism fired up. Athlete 3 throws some greens in his shake to get a head start on his vegetable intake for the day. -Whole wheat is used in place of “white” or “flour” products in many of the examples. -Eating healthy allows you to get MOST vitamins and nutrients from natural sources. However, some are hard to get from food alone so a supplement may be needed. Some examples are; Vitamin d3 supplement, Magnesium/Zinc supplement, Omega 3 supplement. Addition to Last weeks blog. Sports specific hydration. Sports specific hydration is important. An endurance athlete running a marathon in a heated environment will need much more fluid intake and carbohydrate replenishment than a baseball player. This is why it is important to find your sweat rate. If you are a top line player that logs 30 minutes/game versus a 4th liner who logs 10 minutes/game the fluid intake will vary greatly. The top line player will probably need a carbohydrate/electrolyte replenishment drink after the first or second period whereas the 4th liner is probably fine with staying with water because they have not used much energy. You don’t want to over hydrate, feel bloated, or the need to pee during competition. Although research on dehydration’s effect on muscle strength and anaerobic performance is equivocal and more work is needed, some scientific research shows that dehydration has little impact on brief ,high intensity workouts. For all the women that read my blog, check out http://beingla.com/. A couple of friends of mine from Notre Dame have a great website and business all about being fit and healthy. For each 1% loss of water, there is a 10% loss in exercise performance. Recommended water intake a day is half your body weight in ounces. For all you 200lb guys out there; Are you taking down 100 ounces of water a day? As evidence by these stats, hydration is vital. Not only to performance, but for everyday life. Water is the essence of life. It is the most important nutrient in our bodies making up roughly 70 percent of our muscle and brain tissue. Only oxygen is craved by the body more than water. Replacing bodily fluids lost be everyday activity, and more specificly exercise, is crucial to helping your body recover and maintain a healthy functioning system. A little Science to help you understand Hydration and Exercise. Staying hydrated is essential for everyone, but for athletes and fitness enthusiasts, proper hydration is even more important. Sweat loss rates (how much water you lose during exercise) during hard exercise may be as high as 2-3 Liters per hour. (Sweat rates commonly range between one to four pounds per hour, depending on your sport and environmental conditions) Replacing the sodium, chloride, magnesium, and potassium (Electrolytes) lost during exercise can be done by using water or a variety of other products. If not done properly, you may experience dehydration which can lead to muscle cramps, headaches, and fatigue in the mildest of circumstances. 2. Weighing yourself before and after exercise. Any weight lost is likely from fluid, so try to drink enough to replenish those losses. Any weight gain could mean you are drinking more than you need. Drink 17-20 oz. of water or a sports drink (If you feel like your electrolyte levels are low) 2-3 hours before exercise. No need to overhydrate. Your kidneys can only process so much liquid and hydrating 2-3 hours before exercise allows time for your kidneys to process and eliminate the excess. Drink an additional 7-10 oz. 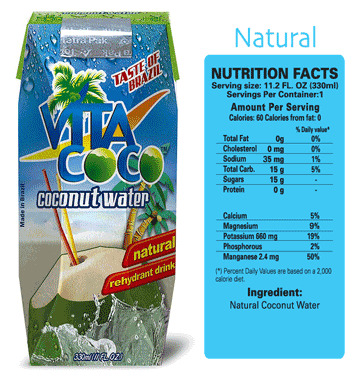 of water or sports drink 10-20 minutes before exercise. In general, drink at least 7-10 oz. of water or a sports drink every 10-20 minutes. Within two hours, drink enough to replace weight loss from exercise. If your workout was longer than 60 minutes, your electrolyte levels need to be replenished with something containing sodium, potassium, magnesium, and calcium. Drink 20-24 fl oz water or liquid for every 1 lb lost. Consume a 3:1 ration of carbohydrates to protein drink or meal within the 2 hours after exercise to replenish glycogen stores. Water is always a great choice for the Average Joe or Athlete. For a more intense workout or ones lasting longer than 60 minutes, water alone may not be sufficient because of the bodies loss in sodium. However, it may be suitable if you drink water along with some food with sodium magnesium, calcium, and potassium. A good example would be having a peanut butter and banana sandwich. 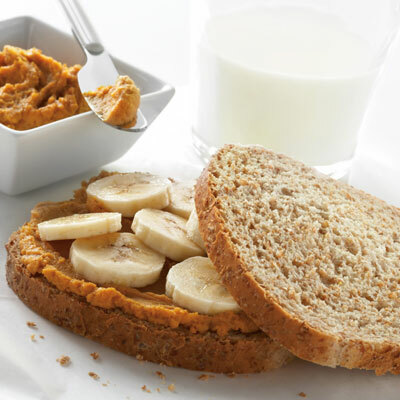 You are getting the sodium intake with the bread and peanut butter, potassium and natural sugar from the banana, and good combo of magnesium and calcium from everything. 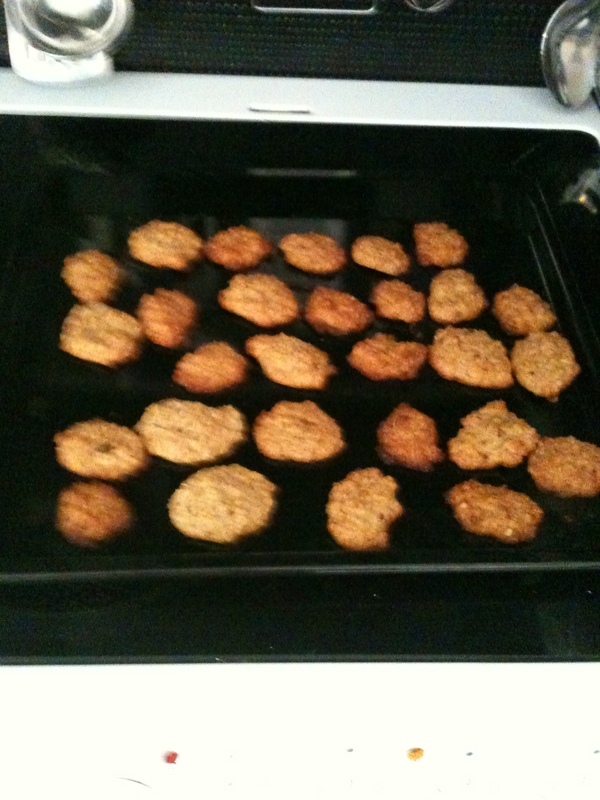 Not to mention, a good 3 to 1 carbohydrate to protein fix, to help restore muscle fibers. Alcohol is very common post-exercise in team settings as well as after finishing a match, event, or tournament. Some research has shown that the sugars, salts, and bubbles in a pint may help people absorb fluids more quickly. Beer’s carbohydrates replace calories lost during physical exertion and can help replenish. HOWEVER, alcohol does have a diuretic effect, particularly in large amounts, and with the amount of other options in the market, beer,should probably be the last option. My suggestion. In celebratory circumstances, you can consume alcohol in moderation but with lots of extra water (plus some carbs to buffer the alcohol and refuel the muscles). Special Thanks on this blog to those who helped with the research and information, you know who you are. For any questions please email or get in touch with me. The average American typically gains between one and five pounds between Thanksgiving and New Years. Sit-ups and Crunches; A Thing of the Past? According to estimates from University of Virgina Scientists, Studies show that you would have to do 250,000 crunches to burn 1 pound of body fat! Did you know that your core is where all the movement in your body originates. Your core is the foundation of your body. It is the bridge between your upper and lower body that allows you to have a base to move, the ability to shift your weight, stand upright with correct posture, and partake in every day activities as well as perform at an elite level as an athlete. The problem– Most people equate “core” with abdominals only. However, you can’t just focus on the abs if you want quality core strength. It is true that abs are the key core muscles. But, those in the pelvis(flexors and abductors), low back, and sides(obliques), all play crucial roles as well. A weak core can make you susceptible to poor posture, lower back pain, and muscle injuries. The spine, core, and trunk muscles are three dimensional and encompass the entire mid section of the body. In the past, the “best way” to a flat stomach, strong core, and sculpted 6-pack, was by doing old fashioned crunches and sit-ups. However, over the last decade, research has shown this actually to be the most inefficient way to a strong and sculpted core. When you do crunches you are only working one plane of your core and neglect the low back and obliques, as well as putting your spine and neck in vulnerable positions. So, first and foremost, your key to a 6-pack and burning belly fat is not through crunches. The top 7 core exercises you aren’t doing but should be! Anchor a resistance band or use a weighted cable near the floor and stand with left side facing it. Hold handles with both hands and begin in a lunge position or a twisted squat while facing the anchor point, arms straight. Turn, pivoting on the feet and sweep the arms diagonally up to the other side(from low to high like you are chopping wood). Using your core to force the cable up, not your arms. Return to start and repeat for 12-16 reps before switching sides. 1.Starting Position: Assume a pushup position on your hands and feet.2. Raise your right arm and left leg out simultaneously and hold for three seconds. Lower both slowly.3. Return to the starting position, and repeat movement with opposite leg and arm. 4 Alternate from side to side, for 12-16 reps. Assume a standard pushup position, your body aligned straight like a board from ankles to head. As you lower your body toward the floor, lift your right foot, swing your right leg out sideways, and try to touch your knee to your elbow. Return to the starting position, and repeat with your left leg. Do 5 to 6 reps with each leg. Hang from a pull up bar with a shoulder width grip. Keep legs straight if possible, lift your legs until parallel with the ground, and lower back to original position without swinging. 10-20 reps. For a more advanced option raise your legs while curling your pelvis upwards until they almost touch the bar. Lower legs slowly back to starting position. Do not use momentum to lift your legs. Moving in a slow and controlled manner reduces how much you will sway.Curling your pelvis insures that your abs are involved in this exercise otherwise its mainly your hip flexor that are doing the work. Do this exercise for 7-12 reps.
Start in a normal side plank position with your body level, hips up, forearm stable, and a straight line from your ankle to ear. Once you are stabilized raise your top leg to make a Y shape with your body. Hold for between 30 and 60 seconds. Repeat for the other side. Start your workout with a core routine. If you are like me, sometimes after a tough workout I am too fatigued to do core and have been known to cut it short or skip it altogether. However, because it is the foundation of your body and is vital to a well balanced workout, doing a 8-12 minute core routine to start your workout will ensure it gets done and it is effective because you are fresh at the start of your workouts. Starting with core will also activate those trunk muscles so they fire better when doing other exercises and ensure they are engaged throughout the workout. Not an everday thing. If you are using weight or some of the exercises listed above there is no need to do core specific exercises everyday. Like any other muscle in your body, your core muscles need rest and time to recover. (You don’t work your chest every day, do you?) I would say between 3 and 4 times a week is plenty if your are truly putting in the time. Mix it up- Do a variety of exercises including planking, weighted exercises, stability exercises, and yes, even some occasional crunches as a supplement can be used to activate those essential muscles(Don’t forget specific exercises to target the low back and obliques). Adding an element of balance will naturally engage your core and add a whole new dimension to your training. Always try to include some sort of Dynamic Stabilization- where your goal is to stabilize with movement of the extremities and avoid change in extension of the spine. I hope this information helps you reach your goal of a strong core and coveted 6-pack. I have been getting some great feedback from people. Please keep the questions and comments coming.